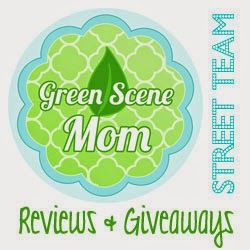 Trying To Go Green: Give Something Great for Mom Funbites! Give Something Great for Mom Funbites! With Mother's day quickly approaching what a better time to get mom a great gift. Funbites are fun and easy to use and any mom would love to have one of these in her basket on Mother's day. Here is the one that I tried. This is their Original and it retails for $12.99. Creates 12 fun bite-sized squares! Funbites Squares is made of high performance material for strength, sharpness and durability to create fun, bite-sized meals in less than 10 seconds. It works best on flat surfaces, top-shelf dishwasher safe and BPA free. I used it on pancakes and it was so easy. You set it on your food and you just push down and rock back and forth. Then you take the Popper and you push the pieces out. Its that easy and here are your finished bite size toddler pieces. They have 2 others to choose from that make different patterns here is all 3. Make sure to follow them on FACEBOOK & TWITTER.